We’ve been toying with the idea of a comic for a little while. I expect we’d typically post them without commentary, but this debut entry was specifically prompted by seeing Angelina Jolie work the red carpet. 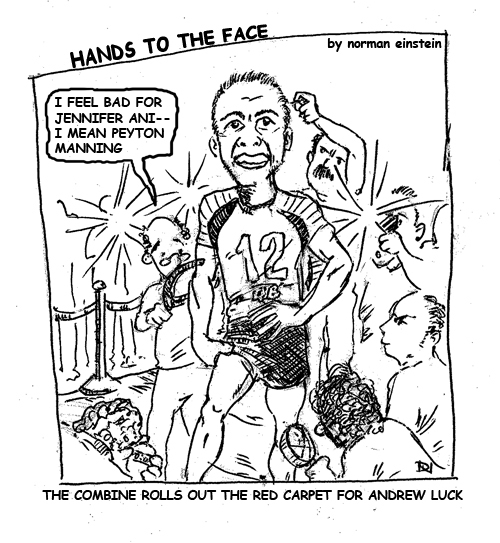 Is the inspection process at the Combine in Indy any different?